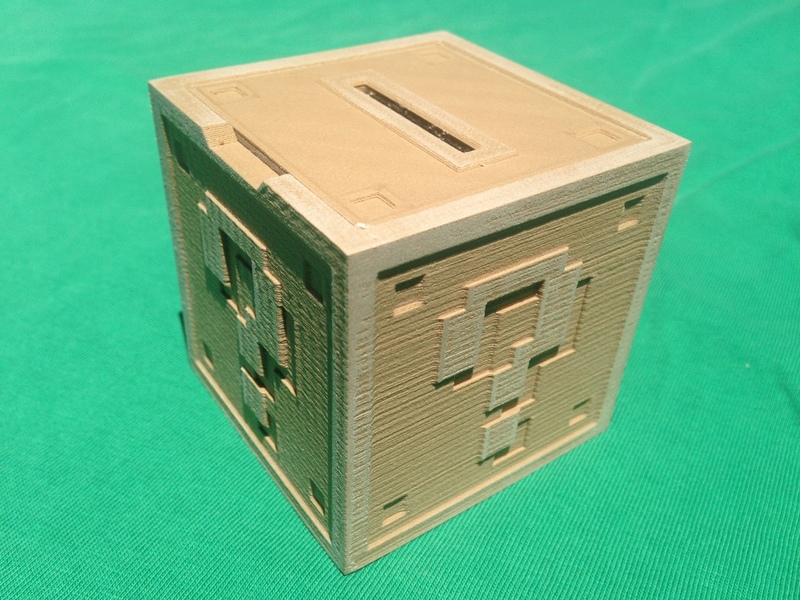 Mario Question Block Coin Bank « Adafruit Industries – Makers, hackers, artists, designers and engineers! 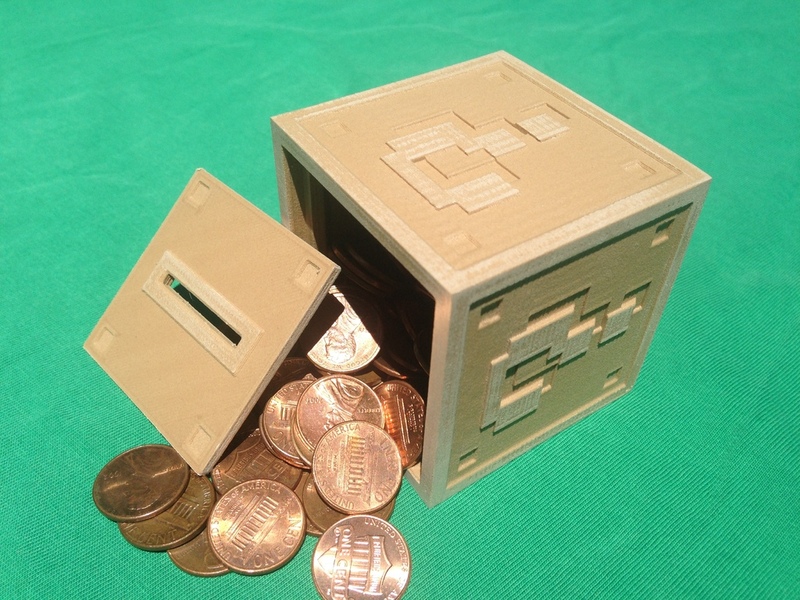 Question block piggy bank based off the 8-bit version from Mario. Designed with 45 degree overhangs to be easily printable. 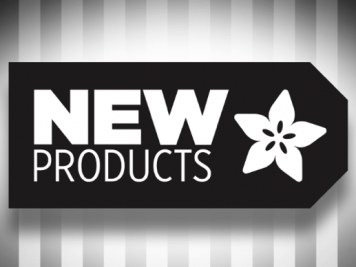 Finger notch makes it easy to remove the lid (lid may require some sanding to fit properly depending on your printer). Model pictured is printed in woodfill. Designed in autodesk 123d.